So you want a website? Websites can be a bit pricey and over time, the cost racks up. If you’re a small business, there are few options you have. But if you know how to write basic HTML and CSS, then there’s a website which will host you site for free: GitHub. You may have heard of GitHub if you’ve been in the computer industry. 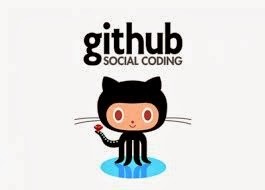 GitHub is a “social coding” website popular among developers. While the website is used mostly to editable host code, GitHub offers a less-known feature, Github Pages. Pages allow anyone to host a website on the site. It’s very simple, too. All you’ll need to do is make an account, create a repository, use a Git Client, create an index file, and then commit it. While that might sound a bit daunting at first, the Pages website offers step-by-step guidance along the process. So what are the advantages to using GitHub pages over another website hosting service? First off, the service is free. GitHub’s website says that the company offers “unlimited pages” and “one site per account”. That’s not bad at all! Hosting sites such as Go Daddy charge a monthly or yearly fee that often ends up around $100 by the end of the year (that’s for the basic plans). Saving money is always a perk. Not only are GitHub Pages free, but you can use a custom domain. Of course, no service is perfect. Pages doesn’t offer HTTPS security meaning that you shouldn’t base an ecommerce service off it or take credit card purchases. As mentioned above, you can only register one site per account, not two. Nevertheless, it’s a worthwhile service. If you’re learning to code for your New Years’ Resolution, then you should definitely use GitHub Pages to host test pages and get real-world experience writing websites. Overall, it’s a good service and the best part - free!